Confortable lighting is essential in creating the right atmosphere for dinner. The client’s brief explicitly stated the need for a warm environment and intimate lighting. A row of light bulbs runs along the space diffusing it with a soft light. 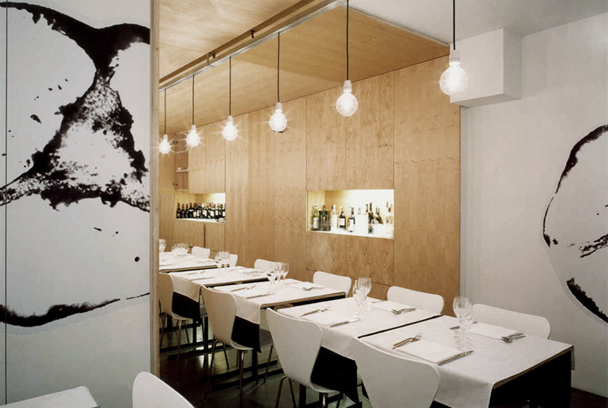 The walls and the ceiling are covered with plywood panels, some of them decorated with an oversized organic pattern. A mirrored steel surface covering the end wall visually expands the interior space. All the tables are configured to seat two but can be repositioned for larger groups.